At the International Consumer Electronics Show (CES), Samsung issued a series of products including the 7.7-inch tablet PC Galaxy Tab 7.7 LTE, notebook, ultrabook, flat-panel LED TV, camera and mobile equipment, all of which can achieve mutual connection through wireless content shared software. By introducing Galaxy Note mobile phone, Samsung expands its smartphone product line. Galaxy Note is equipped with 5.3-inch HD Super AMOLED display and will run on mobile operators AT&T’s LTE network. Last year, Samsung exceeded Apple and became the world’s largest smartphone retailer. Samsung also displays 7.7-inch Galaxy Tab 7.7 LTE which supports Verizon Wireless 4G network. 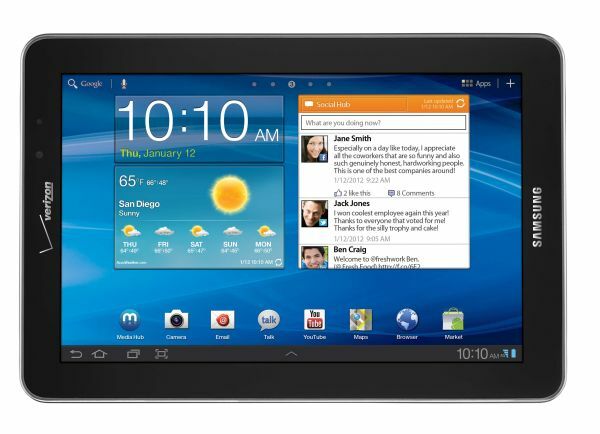 Galaxy Tab 7.7 LTE is also the first tablet PC Samsung released in the United States that is with Super AMOLED display. This tablet computer integrates infrared technology as well, and this will make this tablet PC as the remote control equipment for Samsung TV products. Samsung American business vice President Todd Bouman said samsung also launched a new second generation Series 9 notebook to expand its PC products. Bouman stated that Samsung has rolled out two Series ultrabooks, one of which is equipped with 14-inch screen and and integrates the DVD driver. Samsung American business consumer electronic department President Tim Baxter showed the new ES8000 LED TV which is compatible with 3 D model, with a size from 46 inch to 65 inch. Senior vice President Joe Stinziano also displayed Samsung 55-inch Super OLED TV. This TV is with a dual-core processor, supports 3 D. This TV can give out light without color filter for the reason that every OLED pixel has its own RGB sub-pixel. How to convert DVD to Samsung Galaxy Tab 8.9 on Mac? According to the news of Australian media, Samsung Galaxy smartphones (with Android 4.0 Ice Cream Sandwich operating system) will be released on November 17th. It is reported that the latest Android 4.0 Ice Cream Sandwich operating system will be released simultaneously with Samsung Galaxy Nexus on November 17th. 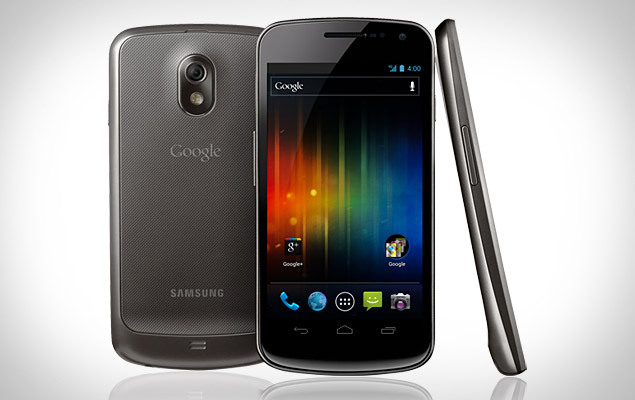 Galaxy Nexus is a type of smartphone that launched jointly in Hong Kong news conference by Google and Samsung on October 19th. The front of it is the 4.65-inch HD Super AMOLED touch screen with 720 x 1280 pixels, and the picture sense is very clear. In the meanwhile, the smartphone is equipped with built-in 1.2 GHz dual-core processor. The latest Android 4.0 Ice Cream Sandwich operating system has many new features and functions: brand-new design of UI, simplified interface, ascendant running speed, brand-new built-in wallpapers, speech input, face recognition, photo editor, flow monitoring and Android Beam. The applications and plugin can be put on home screen, and the users can acquire the latest information through thumbnail without accessing to the applications. In addition, the user interface supports sliding around, and the application program interface can be expanded freely. Samsung smartphone Galaxy S 2, Galaxy Note and tablet PC Galaxy Tab 10.1, 8.9, 7.7, and 7.0 Plus are expected to employ Android 4.0 Ice Cream Sandwich 4.0 operating system. How to convert MKV to Samsung Galaxy S on Mac?